The Ricoh Arena outfit has been enduring a tough time this season after losing all their Champions Cup games while they are positioned sixth in the Gallagher Premiership with six victories from 12 games. 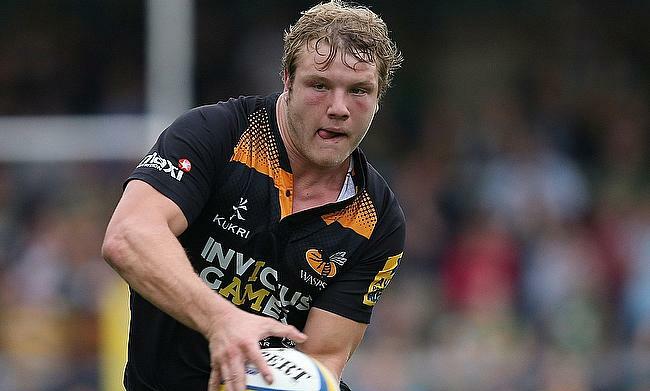 Earlier, there were reports circulating that the England international is being linked with a move to rivals Sale Sharks but Wasps have issued a statement putting an end to the speculation and further confirmed that the 27-year-old lock will play for Dai Young's side next season. "Wasps are aware of recent rumours linking club captain Joe Launchbury with a move away from the club," read the statement. "These rumours are completely unfounded, and Wasps can confirm Launchbury will be at the club next season." Wasps director of rugby Young wished Launchbury a successful outing in the Six Nations tournament and is looking forward to have him back at the end stages of the Premiership. "Joe is club captain and has been a key part of Wasps for a long time. He is an asset to the squad. "Joe is clearly a quality player who most clubs would want in their ranks, but he is contracted to Wasps and committed to the club and the journey we are on. "We hope Joe goes well in the Six Nations along with the rest of his Wasps team-mates and we look forward to them all returning to the club later in the season." Launchbury said his focus is currently on doing well for England in the Six Nations tournament and help Wasps to finish the ongoing season strong. "Wasps are obviously a club that have been great to me over the years and are extremely close to my heart. I'm fully committed to the club and going nowhere. "My focus right now is fully on trying to help England compete for the Six Nations title and I look forward to coming back to Wasps in March so we can finish the season strongly."